Glaucoma is a group of ocular conditions that place excess pressure on the optic nerve, eventually causing permanent vision loss. While these diseases can significantly damage a patient’s sight when left to progress, early diagnosis along with prompt treatment from experienced specialists result in positive outcomes and a quick return to enjoying daily life. At Landa & Landa Eye Care Specialists, our Savannah ophthalmologists help patients to understand glaucoma and alleviate the effects before they lead to blindness. Contact Dr. Micheal S. Landa, Dr. Elizabeth H. Landa and their team today to schedule a consultation. When an eye is functioning normally, the fluid within is generated and released consistently, ensuring that internal pressure is distributed properly without straining the optic nerve. Glaucoma is the result of the eye failing to drain this fluid efficiently, or at all, and the built-up pressure gradually damages the nerve. 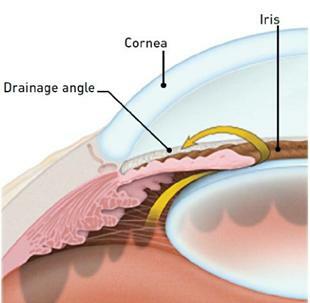 The most common form of glaucoma is referred to as open-angle and often develops as patients age. While it is difficult for a patient to notice symptoms in the early stages of this condition, peripheral vision loss and blank spots can occur over time. If left untreated, open-angle glaucoma eventually causes blindness. Having regular eye exams conducted with our Savannah specialists is the best way to have these issues detected early and avoid significant vision loss. During these visits, we test visual acuity, peripheral vision quality, and check for signs of nerve damage or other abnormalities. Though less common, this form of glaucoma should be diagnosed and treated as soon as possible. Closed-angle glaucoma occurs when the pupil dilates and blocks off the flow of fluid that would normally regulate pressure on the nerve. This is an ophthalmological emergency that Dr. Micheal S. Landa, Dr. Elizabeth H. Landa and our Savannah team work to resolve immediately. There are a number of treatments available to patients experiencing loss of sight or the early signs of glaucoma. Surgery often combines traditional and laser-based techniques to allow the fluid in the eye to drain. Other options include prescribing medications that slow the production of fluids to ease the pressure. Our Savannah eye doctor make recommendations for care based on your needs and specific diagnosis of glaucoma. While treatment cannot restore vision that has already been lost, it can prevent the further deterioration of sight. Schedule your Glaucoma Exam Today! If you are experiencing any symptoms of glaucoma or have begun to lose visual acuity, we encourage you to contact us today and schedule a consultation. Landa & Landa Eye Care Specialists is committed to preserving the sight of patients throughout Savannah and the neighboring communities.